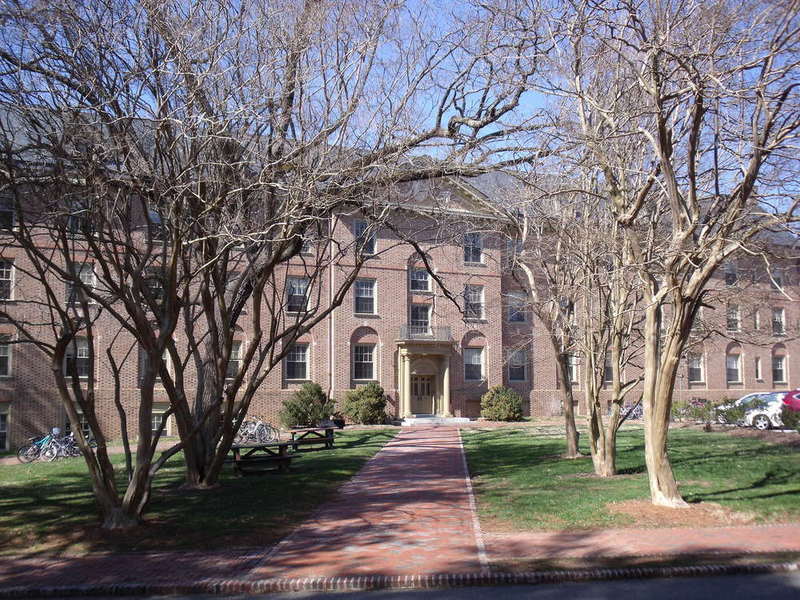 Old Dominion Hall is a co-ed dormitory for upperclassman at William & Mary located across from James Blair Hall. Old Dominion Hall was originally built as a men's dormitory, and the university planned for the rooms to bear the names of counties and cities of Virginia as well as honored citizens of those counties. With the advent of the Flight School at William & Mary in the early 1930s, the university painted "Williamsburg" in bright yellow letters with a black background on the roof of Old Dominion Hall to aid aviators. After the dormitory was renovated in 1937, various portions of the building were used as quarters for visiting athletic teams. 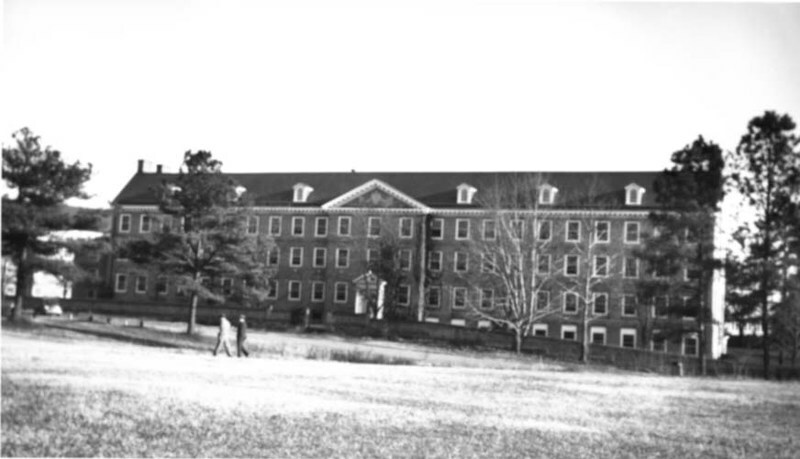 Old Dominion Hall became a dormitory for the Navy Chaplain's School in March 1943 during World War II, but after the war was over the building reverted back to a men's dormitory. As more students came to William & Mary in the late 1960s and early 1970s, a post office was built in Old Dominion in 1974. By the 1983-1984 school year, the dormitory became co-ed. Old Dominion Hall, 2015: A 2015 photograph of Old Dominion Hall, an upperclassman dormitory. ~ Source: University Archives Photograph Collection, UA 8. ~ Creator: College of William and Mary. 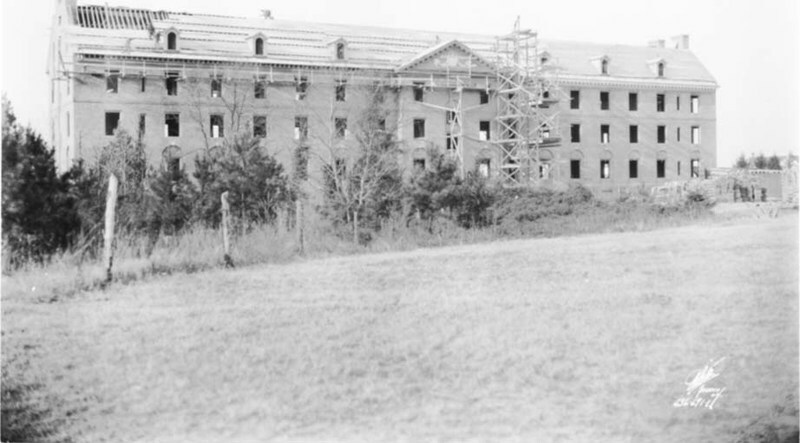 Old Dominion Construction, circa 1927: A photograph circa 1927 of the exterior of Old Dominion Hall during its construction. ~ Source: University Archives Photograph Collection, UA 8. ~ Creator: College of William and Mary. Old Dominion, circa 1945: A photograph of the exterior of Old Dominion Hall, circa 1945. ~ Source: University Archives Photograph Collection, UA 8. ~ Creator: College of William and Mary. 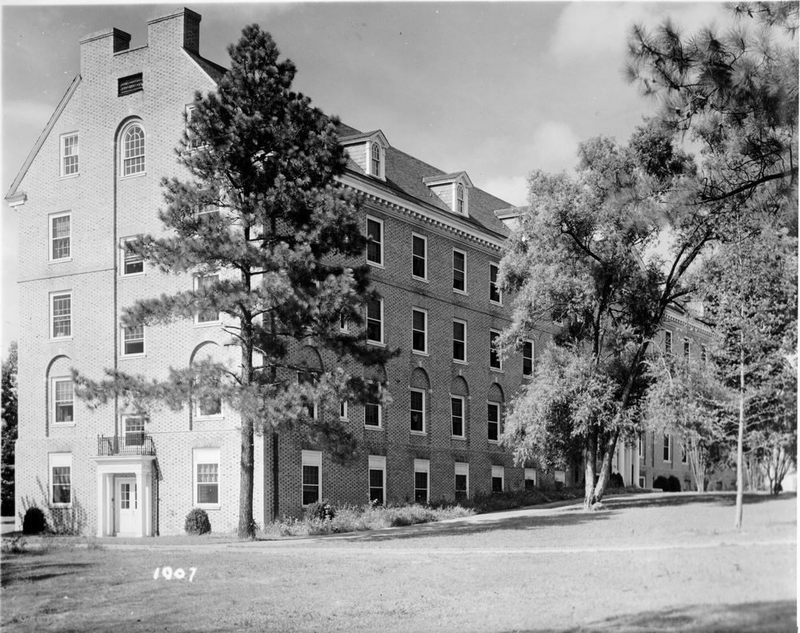 Old Dominion Hall, undated: A black-and-white photograph of Old Dominion Hall, an upperclassman dormitory. ~ Source: University Archives Photograph Collection, UA 8. ~ Creator: College of William and Mary. 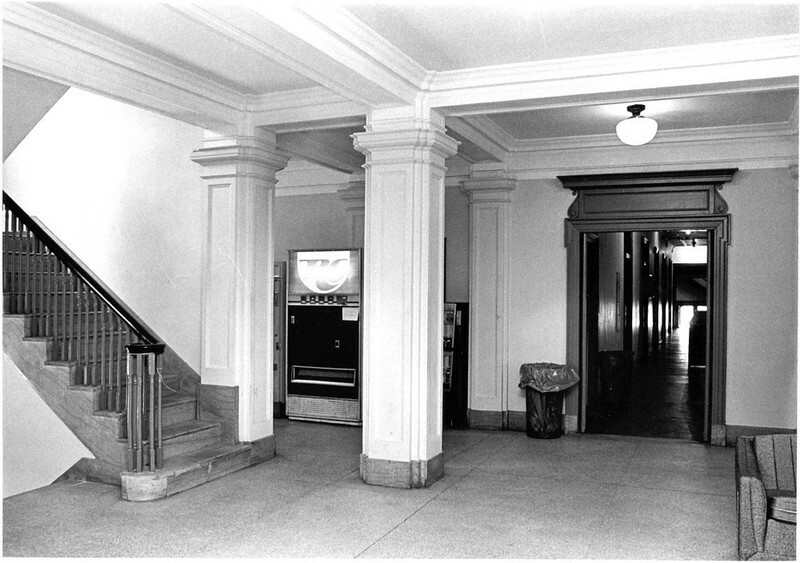 Old Dominion Interior, undated: An undated image of the interior lobby of Old Dominion Hall at William & Mary. ~ Source: University Archives Photograph Collection, UA 8. ~ Creator: College of William and Mary. 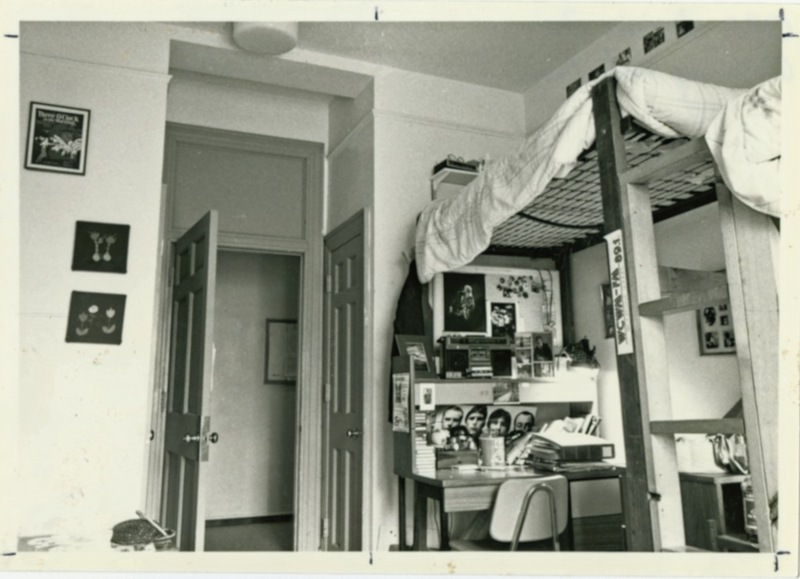 Old Dominion Dorm Room, circa 1982-1986: A photograph of a dorm room on the third floor of Old Dominion Hall taken by Rich Larson. ~ Source: University Archives Photograph Collection, UA 8. ~ Creator: College of William and Mary. 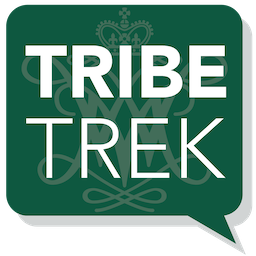 Special Collections Research Center, Swem Library, College of William and Mary., “Old Dominion Hall, Constructed 1926-1927,” TribeTrek, accessed April 26, 2019, https://tribetrek.wm.edu/items/show/62.